New York, NY — Lofty goals, lofty expectations. Coach Chuck Davis when into the season with one goal in mind, win the Super Bowl. After losing to the Philadelphia Eagles in the divisional round, that goal was not met. Arthur Blank was not happy and so the Atlanta Falcons parted ways with their coach, as a buyout was reached but details were not disclosed. However, it didn’t take Long for coach Davis to find a home though. 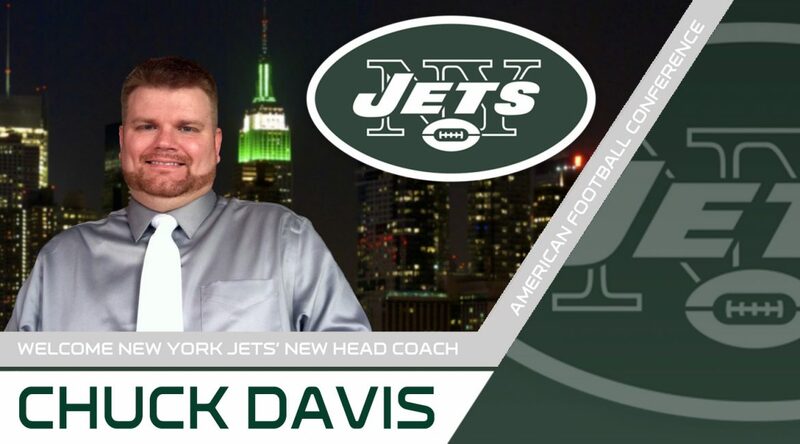 Within 24 hours of being fired, the New York Jets reached out to him. Owner woody Johnson was ecstatic that a high-profile coach had become available. The Johnsons are not afraid of lofty goals, as they have had in the past. For the last 10 plus seasons they have been looking up to Foxborough. “The time is now, we had to strike while the iron is hot” said Johnson. Should the AFC East be on notice? Was everything Davis did with the Falcons this past season a fluke? He has an eye for talent and a knack for getting the most out of his team, but this Jets team will need a major overhaul after finishing last season with a record of 3-13. The Jets had the worst offense in the league, they finished 32nd in total yards, 31st in points for with 12.8 per game, 31st in rushing with 46.2 per game and 29th in passing yards with 190.9 per game. With all that said, a busy off-season of decisions awaits coach Davis. Good thing for him and the Jets, they have the #2 overall pick. “No comment” said Davis, when asked about the pick. Regardless of who they pick, one thing is for sure…. The AFC East just got a lot more competitive. Uh oh, watch out sean. Good luck in the afc chuck! Welcome to the AFC Chuck. You will have your hands full in that division.